When it comes to providing a realistic, high-end rowing experience, the Concept 2 Model D rowing machine is in a league of its own. Widely considered one of the best indoor rowers out there, the Model D offers a low-impact, full-body workout at a fraction of the cost of other comparable models. 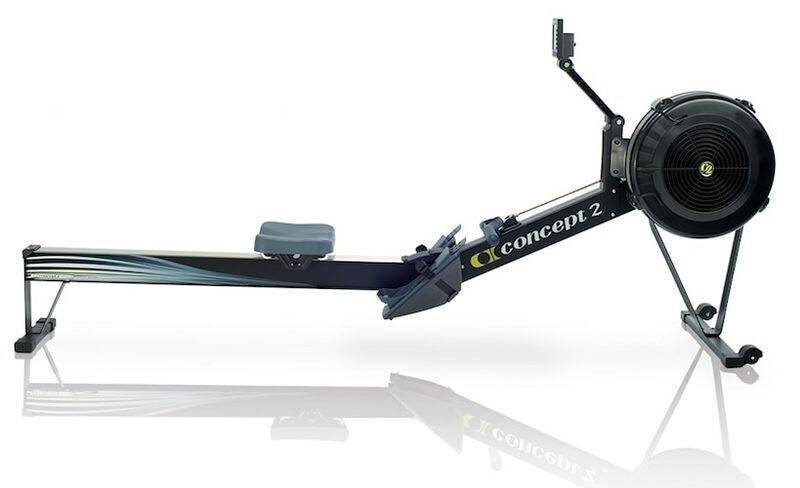 Already decided and simply looking for a Concept 2 rower for sale at a great price? We highly recommend clicking here to check out the official Amazon listing for the Concept 2 Model D.
Remember that rowing machine you’d see in your high school gym but never bothered to use because well…it looked ridiculous? I never understood exactly how to use it back then and I didn’t really make the effort to. But now, with the fitness craze going on, the rowing machine is the ultimate throwback making a comeback in a big way – with the Concept 2 Model D leading the charge. We’re going to explore the features and benefits of using the Concept 2 rowing machine so you can decide if you want to implement this piece of advanced workout machinery as part of your daily routine. Concept 2 Model D: Why Buy It? What many users find most appealing about the Concept 2 Model D rowing machine is that it’s low impact, meaning that your joints and muscles don’t get beat up while using this rowing machine to workout. A lot of former runners and CrossFitter enthusiasts enjoy using the Concept 2 row machine after years and years of wear and tear and they swear it provides the same kind of conditioning. The same can be said for current athletes, Olympians, and others; using this piece of equipment the day after a hard day’s work is good for recovery. Or, as some users choose to do, you could substitute a 3 mile run with the Concept 2. Either way, you’re getting a cardio workout in. 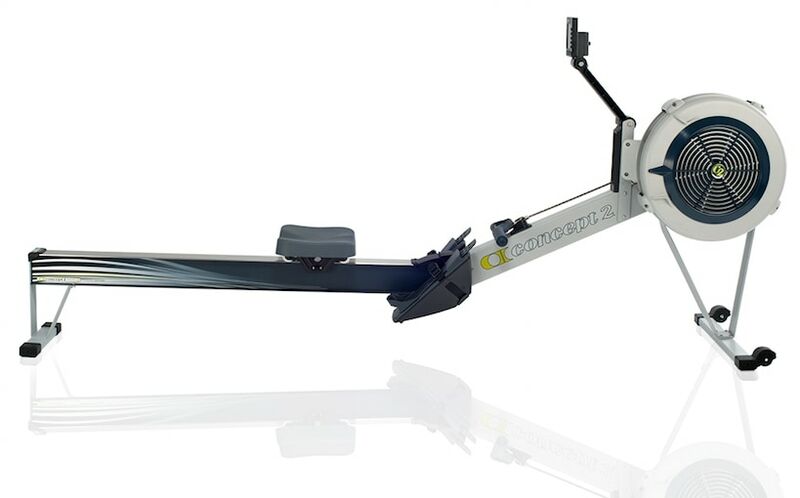 So what kind of technology is packed into the Concept 2 Rower Model D? If you aren’t literally going to get into a rowboat and take it out on the water, but want the same all-over workout, then you need this machine. The Concept rower includes a Performance Monitor that provides accurate tracking and results for every row. It also has a USB port so you can save it to an external flash drive and take your training with you. My favorite feature of all is that the Concept 2 Model D can also measure your heart rate if you sync a wireless monitor. Polar GymLink is recommended on their website if you want to take advantage of this. As an avid runner myself, I do not leave the house without my heart rate monitor strapped to my wrist or around my chest; knowing how hard I’m pushing myself is key for me. Next up is the flywheel and spiral damper. Basically, what these two parts do is help with the rower’s resistance. The damper can be adjusted in any way you’d like so the air that flows into the flywheel is either harder or easier. It’s all about what feels right for the rower. But that’s not even the best part; the Concept 2 Model D rowing machine’s flywheel is designed to be as quiet as possible without sacrificing any of the smooth pulls you’ll get from using it. Another feature you can adjust are the footrests; they are capable of suiting most foot sizes with the simple placement of straps to keep your feet in place. Once you’re done with your row machine, the Concept 2 has a frame-lock mechanism that quickly separates the machine into two parts for easy storage – a feature we here at Respectable Reviews found quite popular among reviewers. The wheels located at the front of the Concept rower make it easy to slide it back and forth–there are no tools necessary to store your machine. Say you really did want to do a rowing workout on water but lack a river nearby, you could spend the extra money and get sliding single or a team slide. These can be placed underneath the Concept 2 rowing machine which mimics the feeling of rowing on actual water. Instead of moving your body back and forth, you’re actually moving the machine itself just like you would move the rowboat in real life. You can order one just for yourself or if you’re part of a team, you can all pitch in an order the team slide. This is perfect for the off-season when you or your team needs to train but can’t get anywhere right away. Still think the Concept 2 Model D rowing machine looks or sounds ridiculous? Me neither. So if you’re looking to do something different, go for a row! You won’t be disappointed.